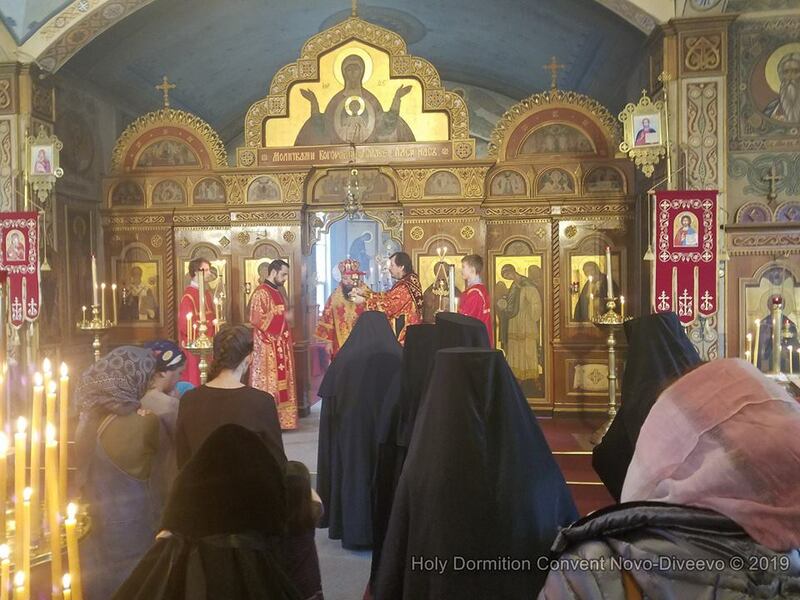 On Friday, March 22, the feast day of the Holy Forty Martyrs of Sebaste, His Grace Nicholas, Bishop of Manhattan, celebrated the Liturgy of Presanctified Gifts in St. Seraphim Cathedral at Holy Dormition Convent "Novo-Diveevo" in Nanuet, NY. 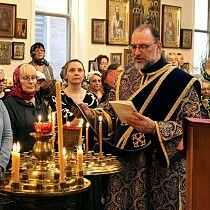 Concelebrating with the Eastern American Diocesan vicar were convent clerics: cathedral dean Archpriest Alexander Fedorowski, Archpriest Yaroslav Belikow, Priest Artem Siss, Protodeacon Serge Arlievsky, and Hierodeacon Panteleimon (Jigalin). 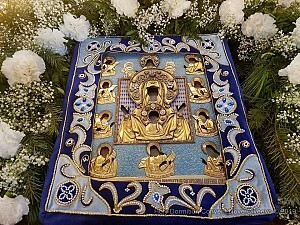 His Grace brought with him the Protectress of the Russian Diaspora, the Kursk Root Icon of the Mother of God, which remained present at the service. 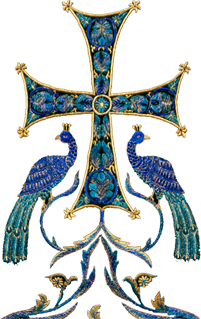 Praying in church was the sisterhood of Holy Dormition Convent, led by Abbess Makaria, and a number of parishioners. Following Presanctified Liturgy, Bishop Nicholas intoned Memory Eternal for Metropolitan Vitaly (Maximenko) and Protopresbyter Valery Lukianov, and a moleben was served to the Mother of God following the kissing of the cross. After the services, the icon was brought to the convent’s adult home, where the residents also had the opportunity to venerate and pray before the Mother of God.